The Bugatti Veyron Super Sport is a special car. Just 30 were made at prices over $2M. This one is even more special. 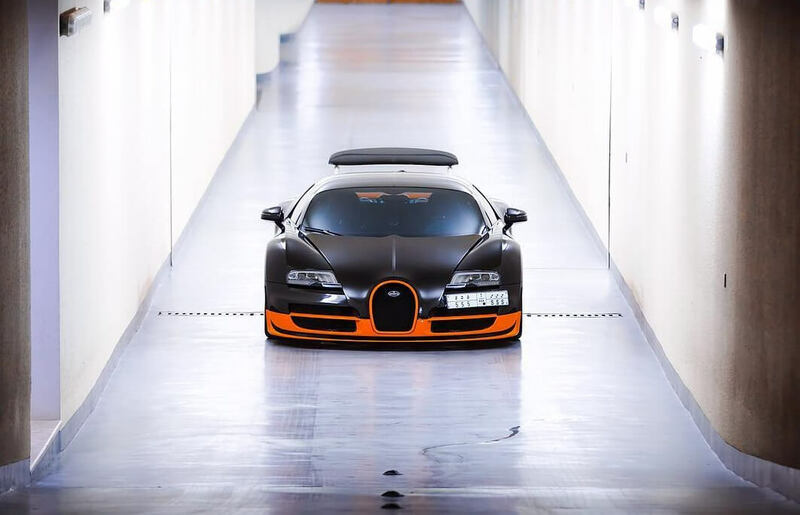 This is the Bugatti Veyron Supersport World Record Edition. Just 5 were made in the orange and black carbon livery and most importantly they are de-restricted. Meaning this exact car can reach the world record setting heights of 268 MPH. 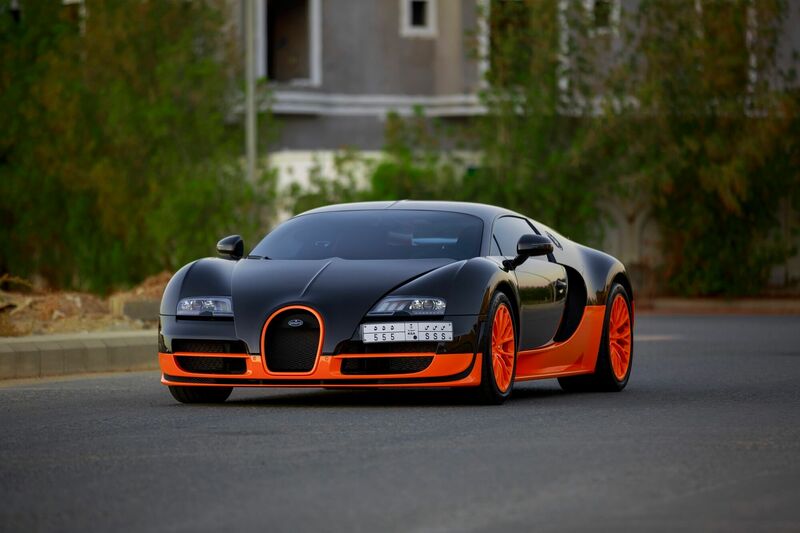 Even in the Saudi Kingdom not much else has the presence of this orange and black bullet. It’s rarer and faster than just about anything – and our man Hosam Al-Ghamdi has it all to himself in Saudi Arabia. The Supersport was first unveiled in 2010 and immediately became the world’s fastest production car, courtesy of its 267.86 MPH top speed. 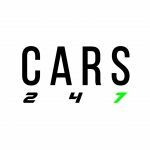 That speed still stands as the fastest speed ever ‘officially’ recorded by a production car. The Bugatti Chiron is expected to topple the King of Speed this year, but for now, you are still looking at the fastest car in the world – and its 7 years old. The Super Sport has increased engine power over the standard Veyron taking it from 1000HP to 1200HP and a revised aerodynamic package allowing the Super Sport to slither to its crazy top speed. Bugatti had to switch out the turbo’s and intercoolers on the Veyron’s 8.0 L W16 engine to get to the 1200HP reliably. 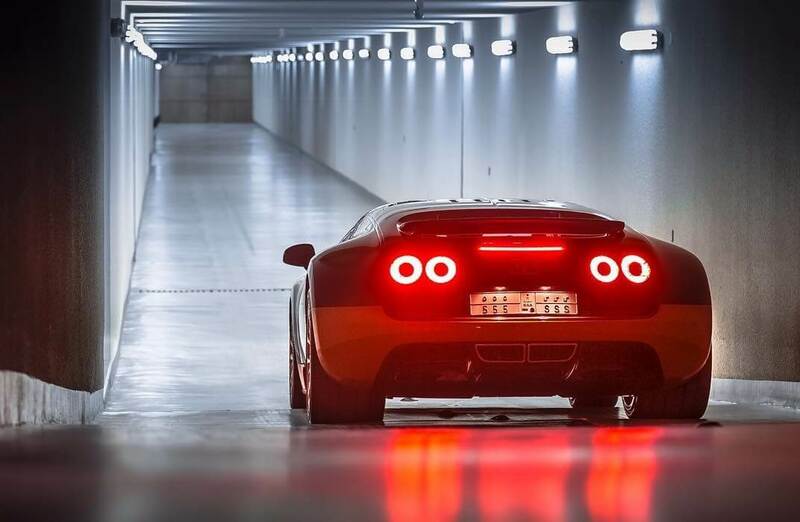 The outlay such that Bugatti lose money on every Veyron they sell – the R & D to get far past F1 speeds a costly pursuit. 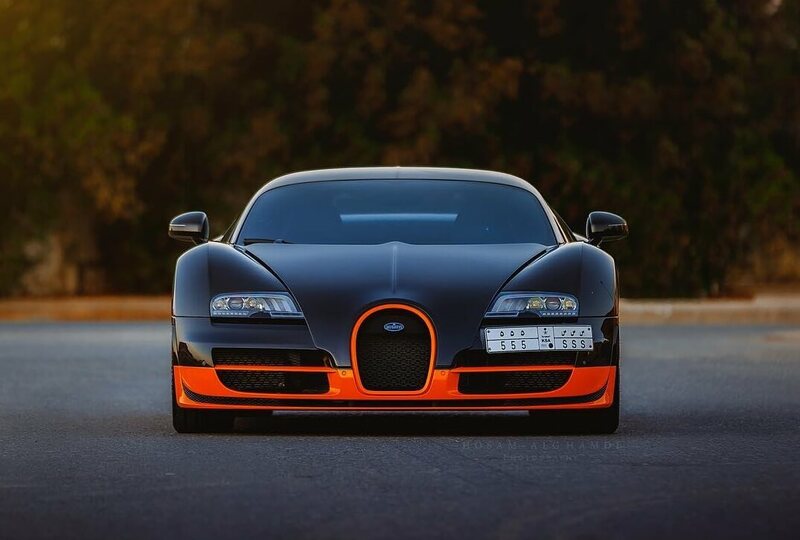 You get the feeling by just looking at the Super Sport, Bugatti had one goal – build the fastest car in the world. No exceptions. It is understood that is the exact brief Volkswagon – Bugatti’s parent company – gave. It is reasons like this that make the Super Sport feel special. This World Record Edition a special made even more special, and you can’t get more special than that. Sat alone in the Saudi sunset it could have rolled out of Bugatti’s Molsheim factory yesterday, aging as well as just about any car, ever. Despite being 7 years old its wow factor still as strong as the day it smashed the world record in 2010. That is why it must surely go down as one of the greatest cars of all time. One thing is for certain – It will certainly go down as one of the fastest.